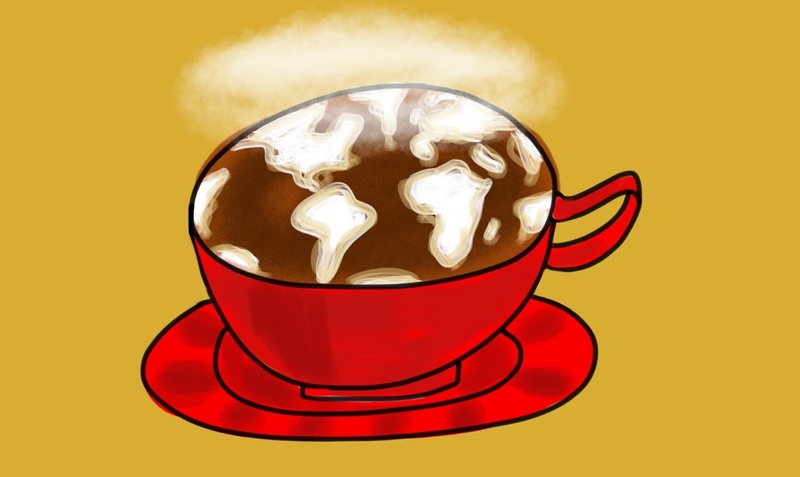 It's Up To The World: Pay For The Global Goals Or Buy Everyone A Latte : Goats and Soda You could pay for an awful lot of coffee with the $172.5 trillion needed to make the U.N. development goals come true by 2030. Pledges are trickling in, but will it be enough? The U.N. is raring to go. This weekend, it ratified the 17 Sustainable Development Goals, which aim to solve a lot of the world's problems by the year 2030, from ending extreme poverty to guaranteeing equality for all. But in all the hoopla over the SDGs, two questions haven't received a lot of attention: How much will all this cost? And who will foot the bill? The total price tag for the 15-year plan could be as high as $172.5 trillion. By comparison, the Millennium Development Goals — the predecessors to the SDGs — were a relative bargain. Government aid covered the $61 billion-a-year cost of achieving those goals by 2015. The great majority of funding for the SDGs will come from national budgets. But the U.N. still needs to cover $2 to $3 trillion a year. To put that sum in perspective, the advocacy group One calculcated that $1 trillion is enough to buy every person on the planet — all 7 billion of us — a Starbucks latte every day for a month. So where will the cash come from? Over the past few days, U.N. member states and well-heeled foundations have chipped in more than $37.6 billion. The big worry now is how to keep those funds coming in a world that seems to lurch from one global crisis to another. "Member states have been generous, but demands continue to dwarf funding," said U.N. Secretary General Ban Ki-moon in his address to the general assembly yesterday, which acknowledged the mounting costs of the Syrian migrant crisis. What's needed is an attitude adjustment. The World Bank calls it going from the "billions to trillions" approach. The bank, the International Monetary Fund and major development banks will work together to develop a plan to bring in those trillions. $25 billion to fight preventable disease for women and children. Some 45 governments and 100 global organizations have promised a total of $25 billion over five years to address the major health challenges of women and children through the U.N.'s Every Woman Every Child initiative. This includes a $3.3 billion pledge from the United States, $3 billion from the charity World Vision, $2.6 billion from Canada, and $2.5 billion from Sweden. $2 billion to fight extreme poverty. President Xi Jinping of China pledged $2 billion as an initial investment for aid to the world's poorest countries, with a promise to raise investments to $12 billion over the next 15 years. $6 million to promote gender equality. Contributions to boost funding for programs that address gender equality and women's rights included $5 million from Chinese e-commerce company Alibaba Group and $1 million from the Bill & Melinda Gates Foundation. And some people think governments now must think about the best and most creative ways to raise the dough for the SDGs. "It's not just about more aid and donors doing more," says Paul O'Brien, president of policy and campaigns at Oxfam America. "This is going to be about sustained political will by governments to use their own money to tax corporations more effectively and make sure the money from their natural resources goes to poverty reduction." It may sound like an impossible dream, but O'Brien is guardedly optimistic: "It can be done. The money's there."